By default, you can already open your Microsoft Store apps in Windows Mixed Reality. 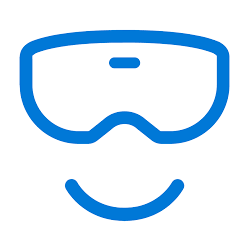 Starting with Windows 10 build 18329, Microsoft has added the ability to launch Desktop (Win32) applications (such as Spotify, Pant.NET, and Visual Studio Code) in Windows Mixed Reality. Please keep in mind this is feature is still in development and Microsoft is actively working on addressing bugs. You may find ways to “break” the feature, and when you do, please file a feedback via Feedback Hub. This tutorial will show you how to open and run desktop (Win32) apps in Windows Mixed Reality in Windows 10.